America has an energy boom. Now what? 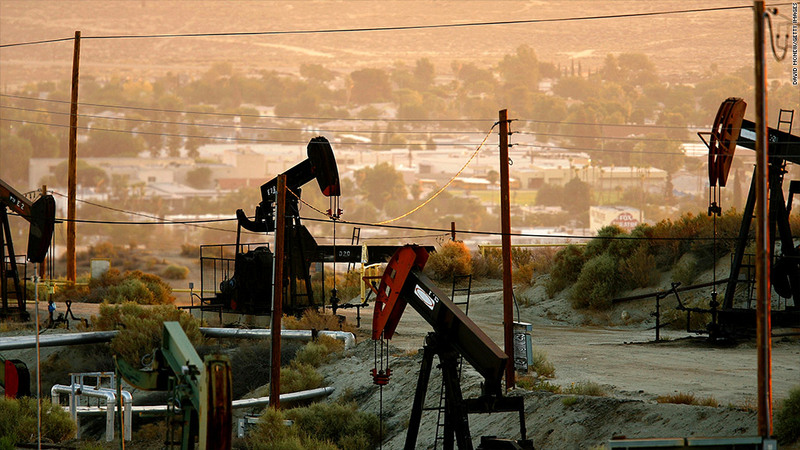 Oil rigs in Taft, Calif., are contributing to America's growing energy boom. America's energy production is booming. What we should do about it is one of Washington's most divisive issues. Since 2006, the country's natural gas production has surged 30%. Oil production is up 33%. The country is on track to surpass Saudi Arabia as the world's leading oil producer by 2020. Champions of this boom point to the hundreds of thousands of jobs it has created and its significant contribution to reducing the country's reliance on foreign oil. Critics counter that with those gains come real threats to the nation's environment, particularly its water supply. They also worry that this new-found abundance will foster a greater reliance on fossil fuels and a dangerous inattention to global warming. On Wednesday, a group from the Bipartisan Policy Center -- including former senators, oil company executives, environmentalists and others with a stake in the game -- released a set of recommendations on how the country can best balance these competing interests. Here's a rundown on their suggestions. Drilling: Open up areas in the Gulf of Mexico off the coast of Florida to more drilling, as well as sections off the East Coast, particularly the Mid-Atlantic states. Fracking: Continue using hydraulic fracturing, but with tighter regulations, including increased federal oversight. Energy exports: Allow it, with virtually no restrictions. The country already exports a huge amount of gasoline, and several companies want to export natural gas. Critics say this will drive up natural gas prices in the United States, but the report maintains that restricting these exports runs counter to free-trade agreements. It could also discourage countries from switching from coal to cleaner-burning natural gas. No mention was made of the controversial Keystone pipeline expansion, although infrastructure like that would be needed to increase energy exports. Coal: Provide government cash for commercializing technology to capture the carbon dioxide emitted by coal-buring power plants. No mention was made of pending clean air regulations that -- along with the low price of natural gas -- are expected to drastically cut the nation's coal use over the next couple of decades. Global warming: No specific policy prescriptions, other than to say it's a problem that should be addressed. Renewables: Phase out all tax credits by 2016 as part of broader tax reform, which would likely see tax breaks for the oil industry dry up as well. Renewables such as wind and solar will be supported by increased government purchases of renewable energy, more R&D, and additional loan guarantees, including ones similar that went to now-bankrupt solar panels maker Solyndra. Significant changes need to be made to that program, the report noted, but it also pointed out that the majority of loan guarantee recipients "have not defaulted on their loans or cost the U.S. Treasury to date." No mention was made of requiring utilities nationwide to get a certain percentage of their power from renewable sources -- something the Obama administration has been calling for. Nuclear: Continue government R&D efforts on smaller nuclear reactors, and provide more government loan guarantees for new nuclear power plants. Biofuels: Continue supporting development of the alternative transportation fuels, although no consensus was reached on the mandate requiring refiners to use a certain amount of ethanol. Efficiency: Gradually ratchet up vehicle and building efficiency standards. The report noted that gains in energy efficiency since the mid-1970s have actually saved more energy than increases in energy production have brought over the same time period. Not everyone on the committee agreed with every one of the proposals, but crafting the bipartisan document was something former Sen. Byron Dorgan, long known as a middle-of-the-road lawmaker, said was one of his favorite parts. "It's one of the most unique and interesting things I've ever been involved in," Dorgan, who co-chaired the committee, said Wednesday in unveiling the paper. "To get people with such diverse views around a table, and understand the element once again of compromise -- something that's been so lost in this town."